Collaboration is working together with students, teachers, businesses, community based organizations, parents, and taxpayers to improve the quality of education in Pima County. The Office of the Pima County School Superintendent participates in a variety of community partnerships. FosterEd improves the educational outcomes of foster children by ensuring each is supported by an educational champion and strengthened by an education team. In collaboration with state agencies, legislators and executive officials we develop policies and infrastructure to ensure foster children receive the educational opportunities they need. In partnership with local education, child welfare and judicial agencies, we implement new practices to ensure foster children succeed in school. Pima County Transition Consortium is a network of public school Special Educators, Transition Specialists, representatives from Arizona Department of Rehabilitative Services Administration and the Division of Developmental Disabilities. The goal of the group is to build collaboration amongst members and to support meaningful transitions from high school to work and post secondary education. The mission of the Systems Thinking in Schools program is to increase the capacity of educators to deliver student academic and lifetime benefits through the effective application of systems thinking concepts, habits and tools in classroom instruction and school improvement. The Pima County program is funded by The Waters Foundation (www.watersfoundation.org). 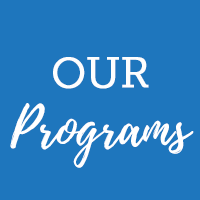 Program services include teacher and administrator training, coaching, retreat facilitation, and web-based instruction and support. Composed of representatives from University of Arizona colleges associated with teacher preparation and of community and school personnel, the PPB initiated dialogue and study of critical issues in education. United Way of Southern Arizona First Focus on Kids Impact Council created a tool for parents, providers and policymakers to measure the quality of childcare centers and identify areas for improvement. The School Finance Advisory Committee studies issues and offers resolutions and recommendations to the Arizona Department of Education on critical issues facing school finance professionals. The Pima County Superintendent/School Board Collaborative is a unique organization whose mission is to represent and protect the interests of the students of Pima County. The Superintendents group meets once a month and the School Board group meets bi-monthly. SAPD (Southern Arizona Professional Developers) is a network of educators involved in providing professional development throughout Pima County. The group was established to promote collaborative partnerships and provide opportunities for ongoing communication between the University and the schools. Specifically, the overarching goal is to plan and implement professional development opportunities for educators in Pima County in order to best utilize resources. Composed of 34 Citizen Commissioners, MEC advises, makes recommendations and serves as an advocate in all areas as they affect the educational welfare of Tucson and Pima County. The Pima County Juvenile Court Committee to Improve Educational Outcomes for Court-Involved Youth was established in January 2003 as a Dependency Model Court Subcommittee. The goal of the committee was to explore ways in which educational outcomes for youth in foster care could be improved. In February 2005 the committee's membership expanded from 12 to 37 representatives and the focus became improved educational outcomes for all court-involved youth. The committee's current goals address student retention and family engagement. In conjunction with Pima Community College, the Office of the Pima County School Superintendent is pleased to present the Early Childhood Professional Development Videos. The goal of this guide is to provide easy access to this information and available resources so that young children in foster care can begin their lives with a strong foundation for growth, learning and lifetime achievement. The FYI is an electronic newsletter listing professional development events offered by the Pima County Regional Support Center, Arizona Department of Education and various organizations in Pima County. The FYI is sent out twice a month to over 750 educators in Southern Arizona.